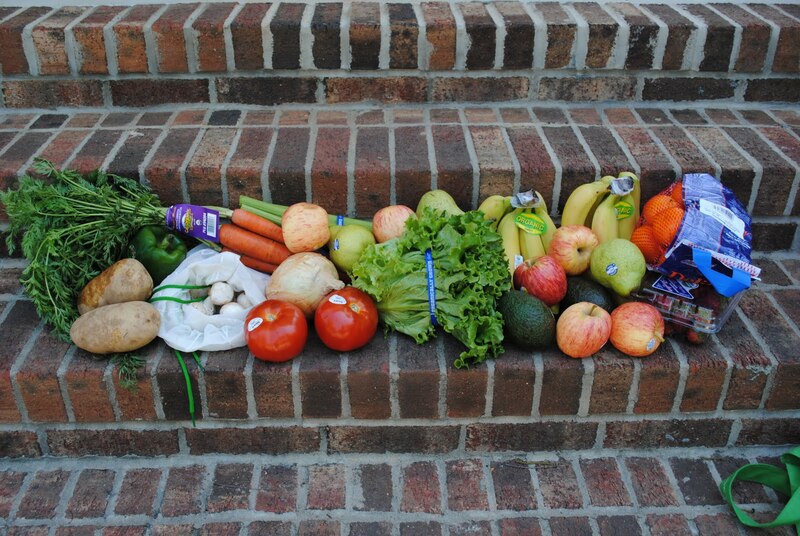 The Conscious Shopper knows her grocery bill is high, and she's fine with that. A year and a half ago, as I was just beginning to shift my grocery spending toward local and organic products, I attended an intro to couponing class at my church. The teacher began by displaying many of the products she's gotten for free or almost free using coupons: boxed dinners, canned foods, LOTS of personal care products. "My price limit for cereal is $0.50 a box." "I haven't paid for toothpaste in years. You can always get that for free." "You have to be willing to drive to lots of stores. You can't just go to one store and expect to save money." At the end of the meeting, I asked the teacher (a friend of mine) how much she thinks she saves using coupons. She replied that she typically spends $300 to $350 a month to feed her family of four. Leaving the meeting, I asked another couponing friend, who reported that she spends around $250. My stomach felt sick. Anyone who follows my personal blog knows that I spend between $600 and $700 a month to feed my family of five all organic or locally produced products (including personal care products). Since that class, I've had the same experience many many times where I've wriggled uncomfortably in my seat while my friends discuss how much money they've saved using coupons or shopping sales. I've listened to my friends swap tips for saving money on their grocery bills, and I've heard the speech over and over about how food is a great place to cut back and save when times are tough. For a long time, those conversations made me feel ridiculous. I've been looking for ways to add more money to my grocery budget. I pay twice as much as most people for toothpaste, and I never get it for free. I'm trying to drive to fewer grocery stores, not more. I rarely ever find coupons for the products I want. I've often wondered how I can compete with the message of the coupon shoppers: "If you shop the way I do, your grocery bill will go down by $150 a month" when if you shop the way I do, your grocery bill will go up by $150 a month. If you shop the way I do, you will avoid eating potentially harmful pesticides, hormones, and antibiotics. If you shop the way I do, your food will taste better because it wasn't shipped from far away or grown out of season. If you shop the way I do, you'll support small local farmers and help diversify the food supply. If you shop the way I do, your family will eat lots of fresh produce, meat, and dairy, rather than processed, highly-packaged food. If you shop the way I do, you'll produce less trash. Are those benefits worth the extra money to you? They are to me. A few weeks ago, I asked how you decide between packaging and price. When I was preparing to write that post, my husband and I discussed the package-wrapped-but-cheaper pasta from Trader Joes, and I said, "If I know I can save money, shouldn't I do it? Shouldn't I pick the Trader Joes pasta? Shouldn't I buy the organic milk and eggs from Whole Foods instead of the more expensive local milk and eggs? It would be nice to have that extra money!" And my husband said something that I think is infinitely wise: "If we are in a situation where we need the money, then we'll make some changes. But right now we're doing fine." It's probably true that many people need to save a lot of money on their grocery bills. But it's also true that many of us don't. Many of us could cut back in other ways without cutting back on food, and I think that if we can support local and sustainable food production, we should. The women(and men) who follow these ideas really don't understand what they are feeding their family each and every day. And that all they're doing is putting more dollars into the coffers of those big food corporations who mix in all those additives. I spend about the same as I used to, but that is because I used to eat fast food and junkfood a few times a week (well, maybe more than a few....) So my spending at the farmers market and natural foods stores is a gain for my health, which should help my pocketbook in the long run. Hopefully, I won't need the medical care that these folks may need later. I am with you. While I do keep an eye out for possible coupons that I may use or really good deals that I can take advantage of I am not running all over town for coupon use of products I do not use. We eat whole foods and the way we see it, it is an investment in our health. I'll save money on my groceries where I can but I won't buy crap. I consider it an investment in my health and my environment. I follow this same food philosophy whether cooking at home or dining out. I'll dine out less and go to a local place that serves foods made with organic, locally grown ingredients versus visiting a chain restaurant on a routine basis. You know, I looked through 3 of those coupon inserts in the paper over the weekend and didn't clip a single coupon. Boxed side dishes, canned food, junky treats...it's just not stuff we eat anymore. We're still pretty frugal in our shopping, but we do look to save our bodies and save the planet over saving money. I'm just starting to shift to local and organic. And I'm learning to cut back in other areas. Making my own bread and pastas has helped as has making some of my girls' clothes. I've even started bartering: I watch the neighbors dogs while they're gone in exchange for spinach from their garden. But even with cutbacks, the total bill is still rising and sometimes that's hard to accept. I just did a post on my blog about a similar topic - being a good steward of our money vs. being a steward of the earth. However, the bottom line is that those who choose cheap over healthy are very short-sighted and there will be greater costs to pay in the long-run. I like your list of why your way is better! i've been using some coupons (not a lot because a lot of them are for things i won't buy) for just over a year now. i went back to review my budget and see how much i was saving and i was a little shocked when i saw that my grocery spending was exactly even month to month for that entire time period. then i realized that the money i'm saving when i can is going to organic meat, dairy, eggs and produce. i also feel very fortunate to be in a financial situation where i can buy any and all of the food i could ever want. Good post, thanks for writing. I have a hard time with it too but I'm getting better. My budget freakouts are far less frequent now :) One thing that helps me is to think about who I'm giving my money to. Even if I was willing to eat packaged salty "food", I'd still be giving my money to multi-national corporations. I'd rather spend a little more and give my money to my neighbors (or as close to my neighbors as I can get). Then its giving my family good food and its helping people who's work I want to support. And then there's stuff like this article in the Washington Post (http://www.washingtonpost.com/wp-dyn/content/article/2010/05/31/AR2010053101914.html?hpid=artslot ) about the link of pesticides to ADHD problems in kids. Blech. When my grandfather was a kid, he always saved his parents money on the grocery bills by shopping around. But here's the kicker -- he did it on his BIKE. I agree that I would rather buy local and organic to the extent that it is available and forget about the packaged HFCS and BHT. Some ways I still save are: bake bread whenever I have time, avoid packaged cereals for breakfast in favor of hot cereal or homemade muffins and fruit, serve beans or lentils two or three times a week, avoid eating out, buy second-hand clothes (thus leaving a bit more room in the grocery budget). 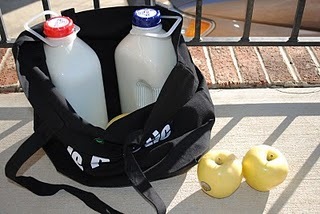 Just packing a lunch or snack and drink from home when I am on the road saves a huge amount of money each month. I agree with Kellie -more often than not, I'm hardly clipping coupons again. I used to follow several of the coupon blogs religiously, but frankly, it got tiring. Does that mean I won't go for a good deal? Absolutely not. But I won't buy a bunch of crap just because it's cheap, either! And people forget - if you're making a special trip for "free" stuff, is it really free? There's definitely nothing wrong with trying to save money or clipping coupons - if there were more coupons avaiable for the products I buy, I'd be all about them. But I'm not going to beat myself up about trying to save money when I can focus instead on the benefits of eating the way we do. Organic and fresh food does cost more and I am willing to pay more. I have never felt embarrassed or uneasy around coupon enthusiasts who brag about coupon savings because they avoid organic products. There are a couple people I know who avoid organic food and often eat fast foods and proudly proclaim their "superior sense of saving money" because "fast food after coupons usage costs less than home made food". They say with the money they save, they can buy more clothes, shoes, etc. Yes, fast food is indeed cheap, so cheap that it costs less than fresh and organic food. Ironically, most of these people have health problems, some of them are obese, they have to see their doctors regularly. I, on the other hand, avoid fast food chain, cook & eat fresh, organic, locally grown food. I see my doctor once a year to do a physical and other than that, I don't have any health issues that require a doctor's visit. So far, I really have saved much more money than they since the doctor visits are truly very costly. I always say pay more for good food now, pay less for doctors later. When I started my first CSA last spring, and then my weight reduction plan in October, I knew I'd see my food budget expand. Eating healthier is more expensive, but the long-term benefit of better health (and lower medical bills!) is a huge tradeoff. I stopped using coupons (mostly) years ago, except for cat food! I have mostly used store-brand products when I wasn't buying fresh, anyway...when I was a vegetarian, there wasn't much in the way of coupons for the food I ate, anyway! coupons are just another advertising technique to kepp you buying the carp they want to sell you- step outside the square! I think it makes sense that the largest parts of our budget would be housing and food—they're our most basic necessities. A lot of people who say they don't have enough money to buy organic food turn around and use the money to buy huge TVs, ridiculous cell phone plans, every new gadget on the market... Good food is your priority. And, for what it's worth, I think it's a good one. What a beautiful post. I'm sitting at my desk going, yeah, yeah, yeah! I'd give you a hug if you were here. Thank you for clearly stating some of the chatter that goes on in my own head. And a high five to your husband too. He's got the right idea. As a follow-up to my comment, here's a World Bank study on how people spend their money worldwide. I thought it was really interesting. My friend and I had this same conversation yesterday! We both said that it's a waste of time to look over the coupon section b/c the stuff being discounted is crap that we wouldn't have in our homes anyways! I do go back and forth with whether or not the stuff at TJ's is healthy or just appears so b/c it's from TJ's...thoughts on that? Oh, and with our CSA, we are saving money by not wasting veggies we wouldn't eat. We get such a variety now! Who'd have thought I would be making kohlrabi? While you may not be saving money on your grocery bills in the short term, you are saving money long term in lower health care costs, since you and your family will all be in better health because of eating better food. Great article! I often have people ask me why I am willing to spend more on my groceries when I know how to coupon and get it for free. I have learned that you can still by local and organic while still saving money. If you cut back on convenience foods and the stuff you really don't need anyway you can use the extra money to buy real food. I am not always able to by locally produced foods, but I try to when I can. The thing about Super Couponers is you can't be picky or brand loyal to get the deals and coupon + sales = free items. Which means that almost all of your veggies will be canned or frozen with some sort of sauce, your snack individually packaged and wasteful and more often than not loaded with sodium, trans fats, and High Fructose Corn syrup. Not to mention the excess packaging waste. The same goes for cleaners and toiletries, most of the deals will be loaded with questionable ingredients. I have to say, that my diet improved and I saved MORE money when I stopped shopping with coupons. I found that I was buying items just because I had a coupon not because I really needed that type of item. I also sometimes find myself jealous of the people who get food so cheap but then I remember what those foods do to us and our planet. 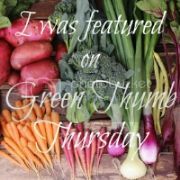 I have Fibromyalgia and other chronic health issues and I know that how I'm eating is saving me from bigger issues. I had high insulin and was at risk of becoming diabetic for awhile but with diet changes and losing weight my last check came back just fine! I also had high blood pressure which has also been fixed. My IBS is gone and acid reflux is a VERY rare thing for me now when I used to wake up coughing and unable to breath a few times a month. My husband and I both have agreed even though we spend a lot on our organic lifestyle we aren't willing to change it, other things go first. We both feel sick if we go off our diet so we know we are doing the right thing. Even our dog eats organic food and our vet is always amazed at how healthy she is (she was near death when we rescued her). My doctor is also very happy with my diet and how much better my health is getting.